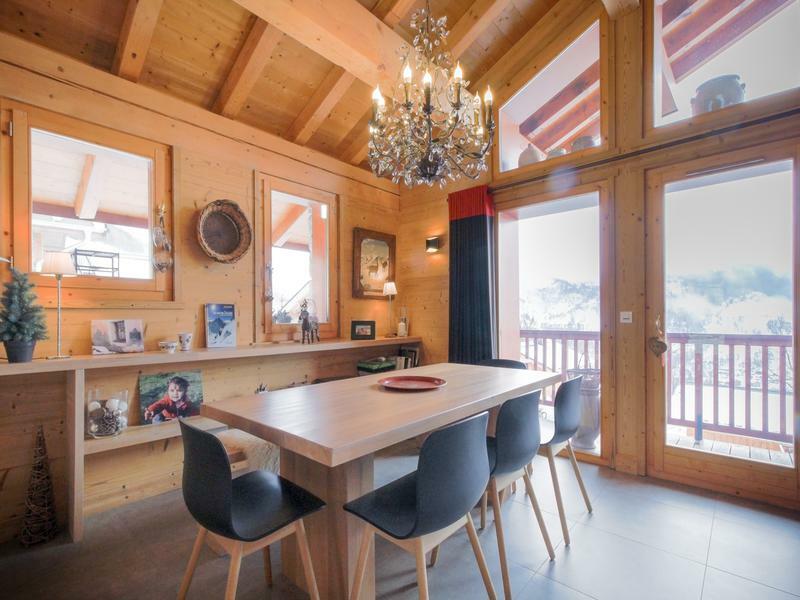 This stunning 3-bedroom chalet is nestled at the top of the charming village of Villarabout- just 1 km from the renowned ski village of Saint Martin de Belleville, within a small co propriety of 5 properties. 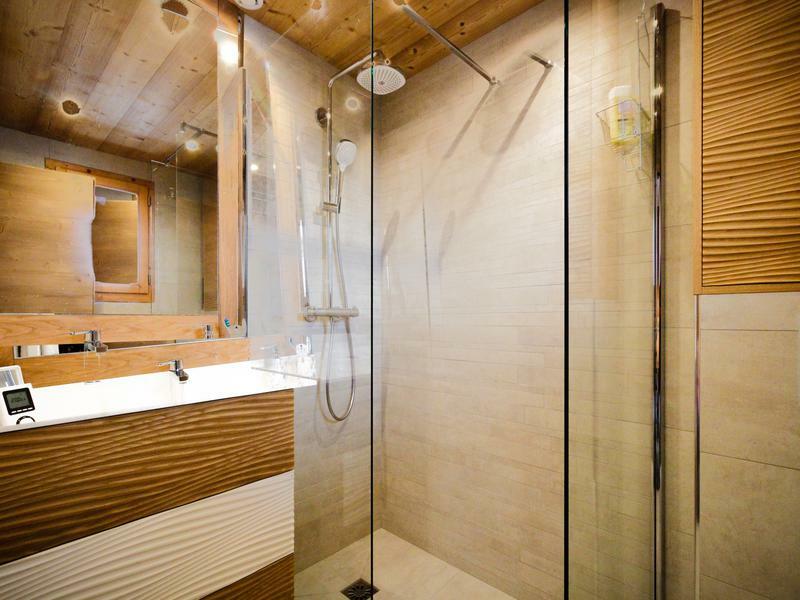 Built in 2007 and completely renovated within the last two years, the property has been finished to an impeccably high standard, and boasts a chic, modern yet cosy alpine style throughout. The property comprises 2 double bedrooms (one of which has an en-suite bathroom), 1 bedroom with two sets of bunk beds, a bathroom with shower and separate WC, an impressive open plan living area with balcony and terrace, a separate bathroom with shower, a mezzanine level, and a laundry/cloakroom. 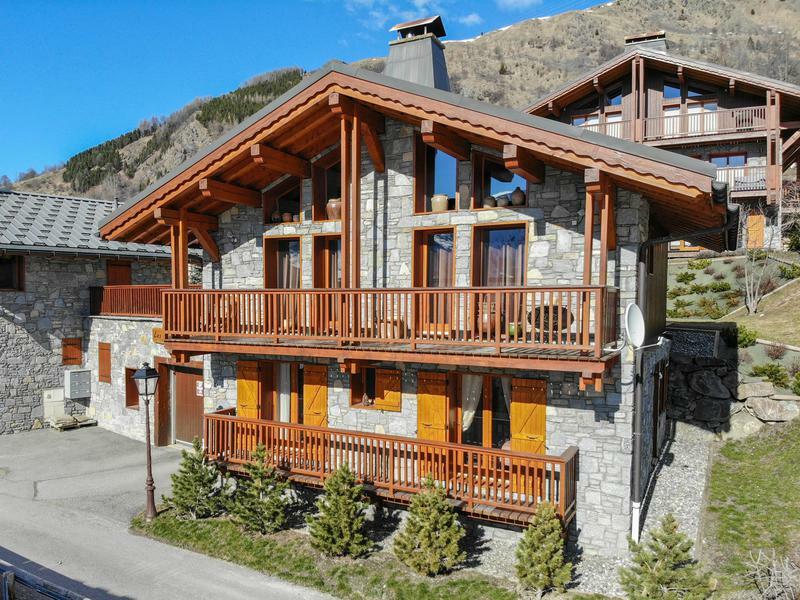 It is also sold with 2 private parking spaces and a garage used as a ski and bike room. 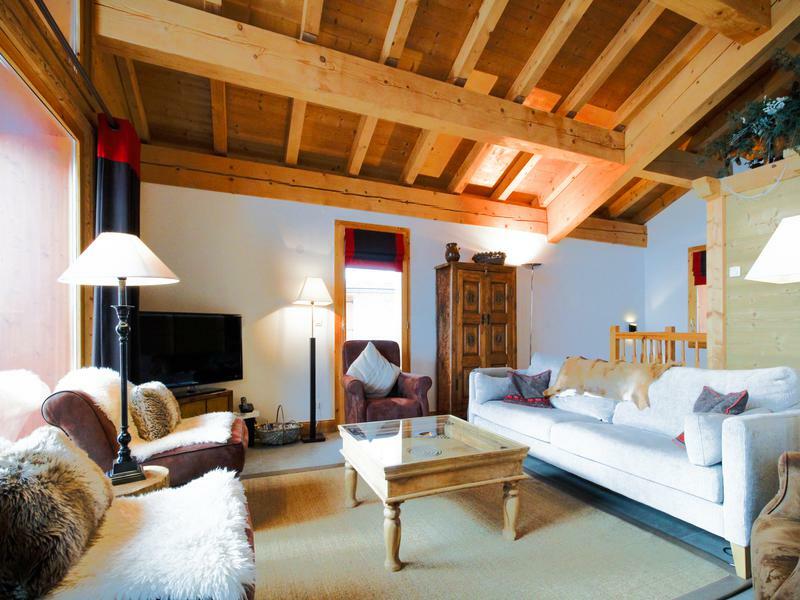 The chalet will be sold fully furnished, making it an ideal property to move straight into with all its comforts. 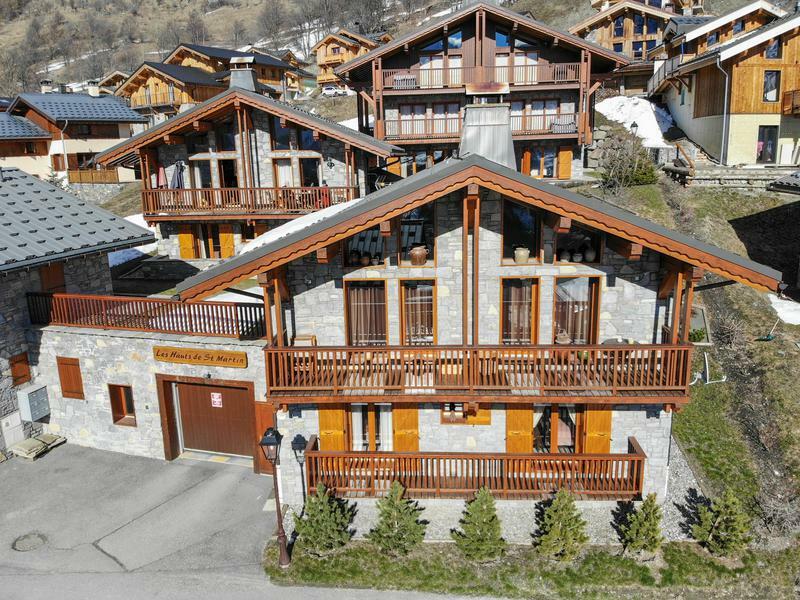 With its ideal location in Villarabout, which offers ski shuttle buses to Saint Martin and its direct links to the world’s largest ski area: the 3 Valleys, this property is an unmissable opportunity to acquire a beautiful mountain chalet that requires no work- perfectly suited for both personal and rental purposes. 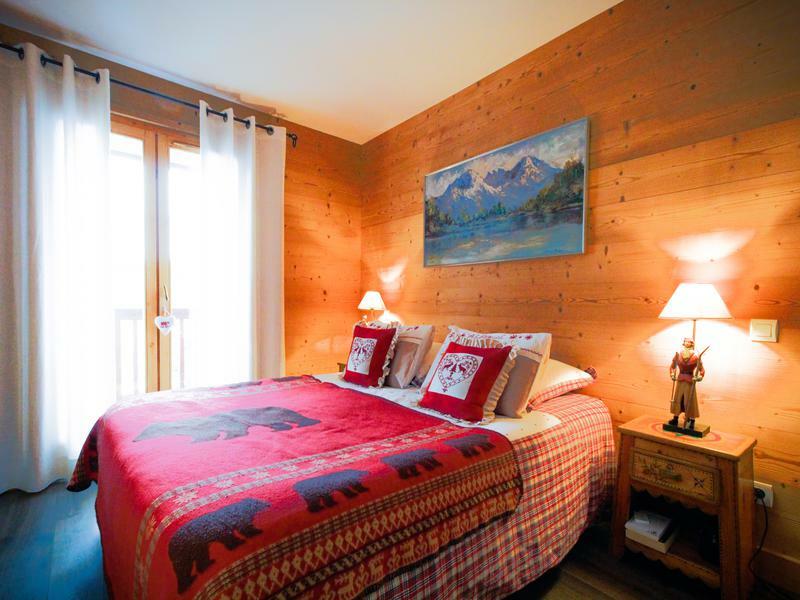 As you enter the chalet on the ground floor, you will find a cloakroom/laundry room, the first double bedroom, complete with en-suite bathroom and access to a balcony, the second double bedroom- another double also with balcony access, and the third bedroom which is equipped with 2 sets of bunk beds. 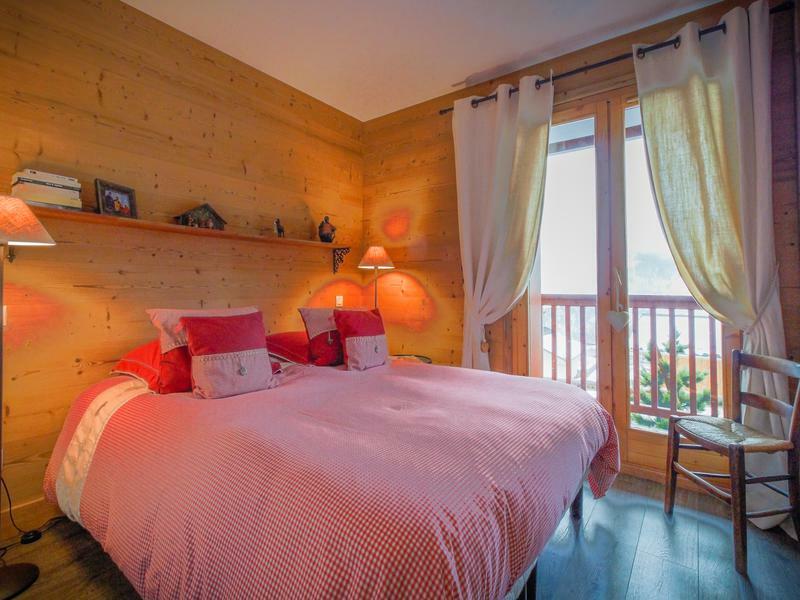 All bedrooms are a good size and are complete with a cosy, Savoyard style. 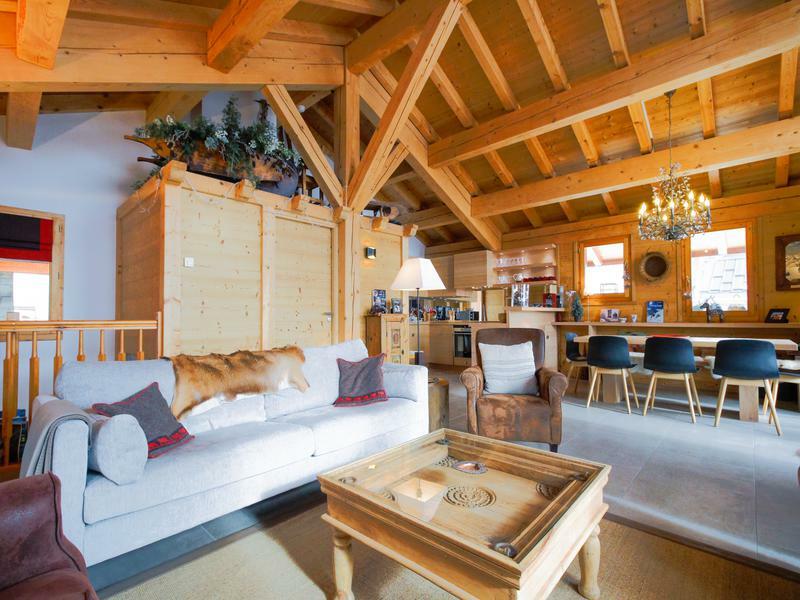 On the first floor of the chalet sits the spectacular open plan living space, boasting a stunning interior of beautiful alpine wood and luxury finishes such as a Focus contemporary fireplace. This light and spacious room is comprised of a lounge area, a dining area, and a fully equipped kitchen replaced just a few years ago, it also offers access to both the balcony and terrace, perfect for enjoying the mountain sunshine and views. On this floor you will also find another bathroom equipped with a shower, sink and toilet. The property has a mezzanine level, which opens up the possibility to add more sleeping space. 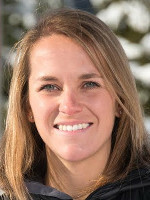 Two private parking spaces are allocated to the property with a boxed garage space currently used as a ski/bike room, a convenient storage solution. 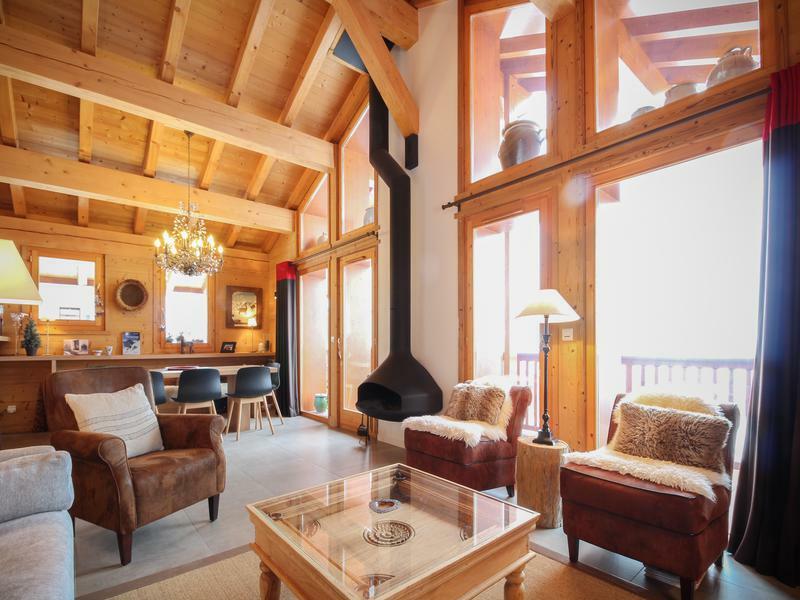 Built in 2007, and renovated over the last 2 years, this magnificent chalet is part of a small co propriety in Villarabout, a village with authentic mountain charm, which conveniently sits just 1 km away from Saint Martin de Belleville, meaning this property offers close proximity to the 3 Valleys ski links and a fantastic collection of restaurants. The village, and whole Belleville Valley for that matter, are full of life in the summer too, with exciting activities and events available to choose from, such as the passing through of the Tour de France in July 2019. 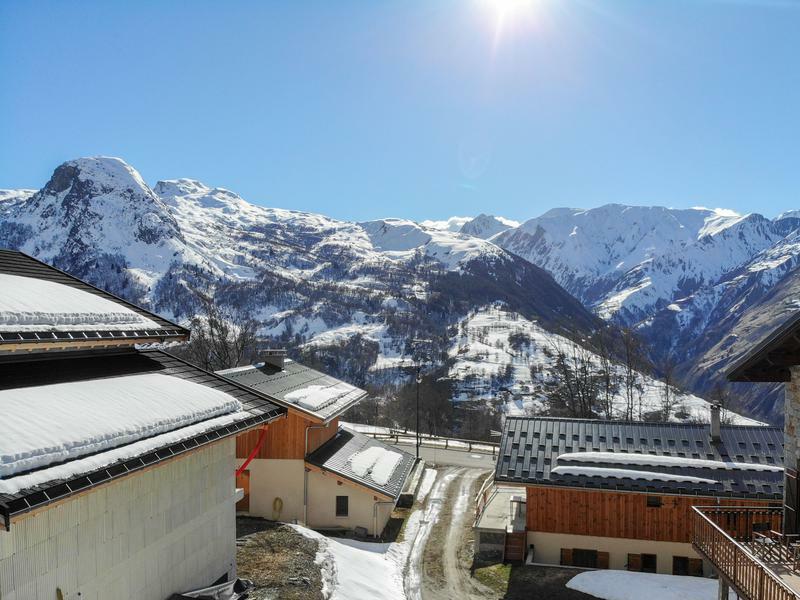 Approximately a 2-hour drive from Geneva airport, the area is easily and quickly accessible, and is a fantastic place to own a mountain home which can be enjoyed every month of the year. For more information do not hesitate to contact us.